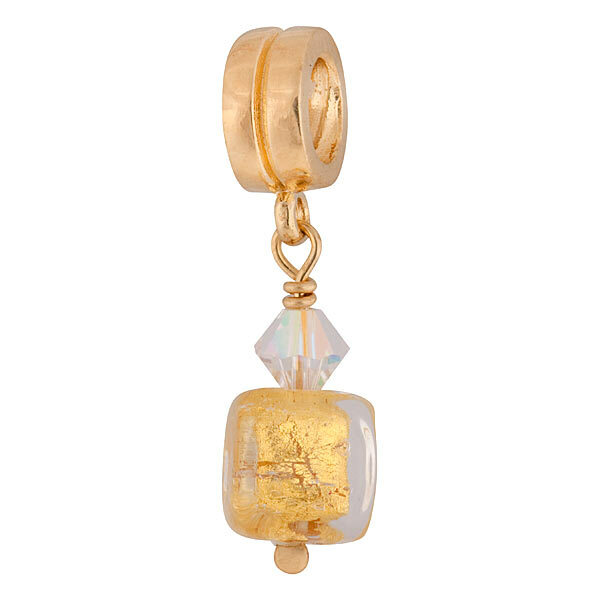 A handcrafted Murano glass cube dangles from this vermeil charm, accented with a single Swarovski crystal. This charm is nearly an inch in length and features crystal clear glass over 24kt gold foil. The threaded core makes this charm compatible with PERLAVITAô jewelry as well as most other major brands.